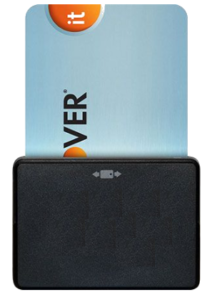 Accepting credit cards has never been easier with our FREE Bluetooth Chip Card Reader and LOW Flat Rate Processing! Pick a credit card reader. Email or print professional, itemized receipts with customer signatures and a map of the transaction location. Keep all of your accounting simple and in the same place by hooking up Mobile Phone Swiper with Quickbooks. If our online support doesn’t have the answer your need, Mobile Phone Swiper offers 24/7 support with real-life people. Easily configure the Mobile Phone Swiper application to utilize only the features that fit your business needs. Use your Mobile Phone Swiper account on multiple devices simultaneously and track sales from each device individually. Mobile Phone Swiper ensures the security and safety of every transaction. Credit card data is never stored on the phone, the app or the card reader. Whether you choose to swipe or key in a credit card transaction, all personal information is protected. To get started with Mobile Phone Swiper, just set up a merchant account, download the free app from the App Store, Google Play (formerly Android Market), or App World, and we’ll send you a free credit card reader. We know every business is different. 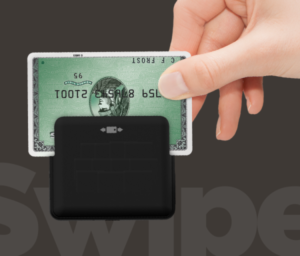 No matter what type of business you have, Mobile Phone Swiper is the perfect mobile payment processing solution for you. Plus, you’ll receive the added protection of North American Bancard, a leader in the credit card processing industry for nearly two decades.